I was recently at a professional development conference and sat in on a discussion that challenged the small business owners in the room to examine their “why”. As in, “why do you exist as a small business?”. What a question! 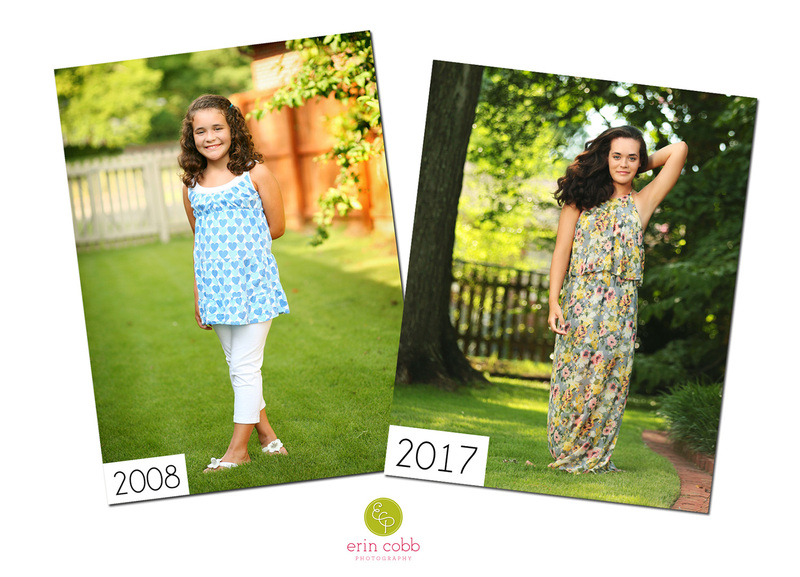 These images represent a decade of watching these spunky girls grow into kind, thoughtful, beautiful young women. I can still remember that 2008 portrait session like it was yesterday. They told me all about their teachers, their activities and their family. They beamed when they spoke of their Dad (who I recall was away on business). Sadly, they unexpectedly lost their father shortly after this first set of images was taken. It was a journey I never would has wished for them, but I had the privilege of continuing to watch them blossom into amazing young women. 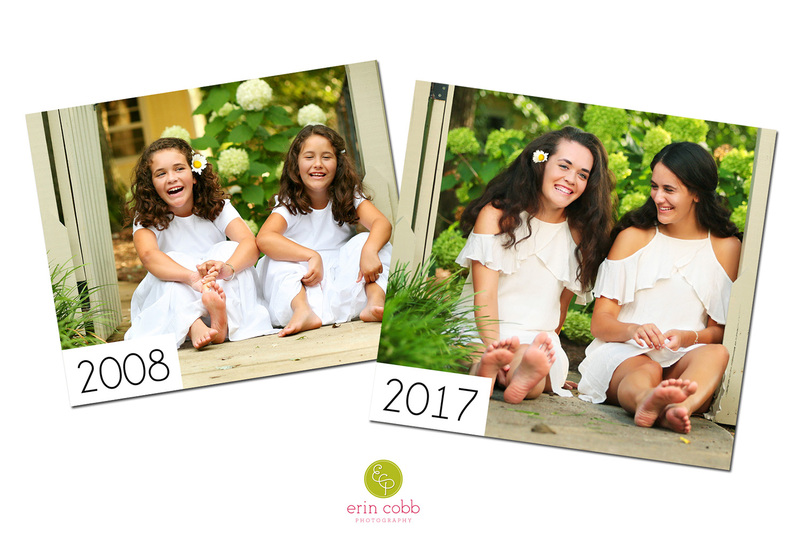 I have so many interim images I could share that showcase just how wonderful these two girls are, but I just can’t resist these recreated side-by-sides. This year, the oldest will graduate from high school. What a joy and a blessing to photograph her senior portraits at her home…the same place her kind heart first came into my life! 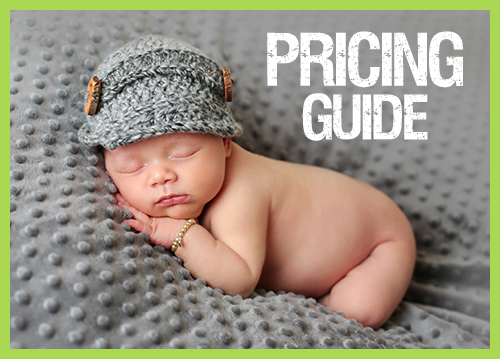 My business “why” goes so far beyond camera skills and portrait sales. 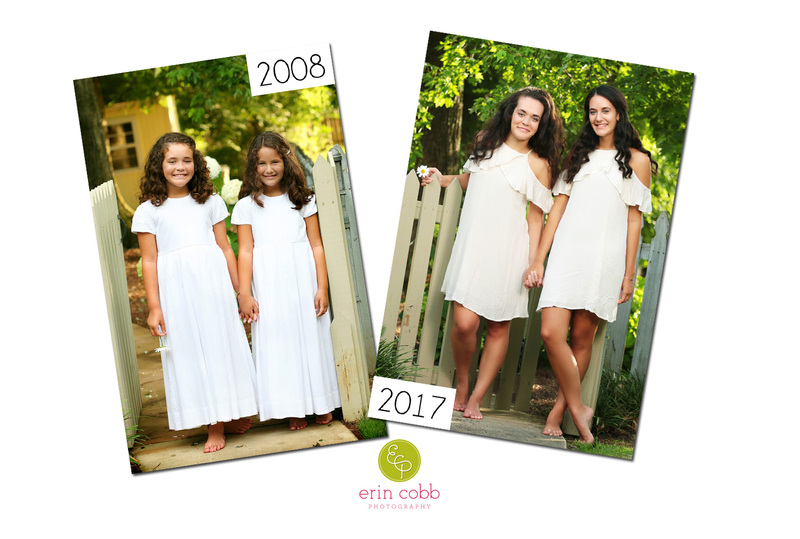 Erin Cobb Photography exists to connect with families just like this one…families just like yours. Families who love their kids, cherish their time together, and want to preserve lasting memories. I feel honored each and every time I am invited into the life of a family. And my reward is in the relationships like this one. « things I wish I’d known.